Most modern HVAC systems are built to last for two decades, or even longer if maintained properly. They are durable and precise pieces of equipment that are made to deliver reliable heating and cooling 24 hours a day. However, with such a demand, it should come as no surprise that an HVAC system can suffer from occasional issues over time. Here are the five most common types of HVAC problems and what you can do to help prevent them from happening. An HVAC system is manufactured to work optimally based on certain conditions. These include keeping the windows and exterior doors closed, keeping all of the vents in the home open, replacing the air filter every one to three months, and keeping the area around the outside compressor unit clean and free of obstructions. These tasks fall upon the homeowner. If any one of these four conditions are not met, the HVAC system will operate inefficiently with the results being felt not only in your home’s comfort level but in your utility bill as well. If an HVAC system is low on refrigerant it means either the technician did not charge the system adequately upon installation or there is a leak somewhere in the system. If the problem is a leak, then simply adding refrigerant will not solve the problem. In order for the system to run at its peak level, the leak needs to be repaired and the refrigerant charge needs to match the manufacturer’s specification, no more and no less. If you notice the floor is wet around your HVAC system, especially on humid days, then there is a chance that the condensation drain may be clogged with debris. This will cause the condensate pan to overflow. HVAC systems have a lot of electrical parts and terminal connections that can wear out over time, causing a number of other potential problems. The compressor and fan controls are especially prone to failure on systems that cycle on and off frequently. This is why every aspect of the electrical system is checked during a standard HVAC service call. 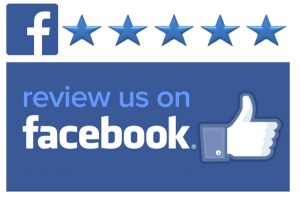 When it comes to providing exceptional AC repair Wilmington NC, All in One Services has been leading the way since 1989. And, we make it easier and more affordable than ever to keep your HVAC system running at its peak performance. 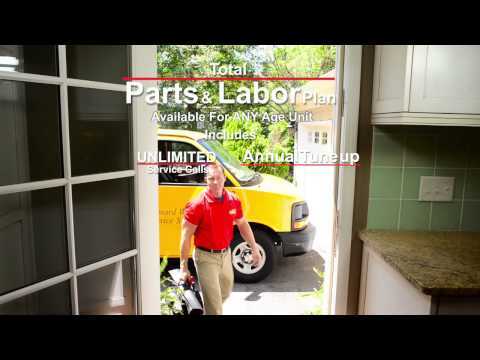 Our Total Parts and Labor Plan provides our customers with total peace of mind because it offers complete repair coverage of all essential component parts* of your home’s central heating and air conditioning system, including the cost of replacement parts, labor costs, and the cost of any required materials. It even includes a cost-saving annual system tune-up and all TOTAL Parts and Labor customers enjoy preferred service and unlimited service calls. All in One Services also offers free replacement estimates, duct sanitizing, and financing on new installations. If you need AC repair in Wilmington NC, just call us today at 910-343-1399. We’re fully licensed and insured and we’ll have your system back up and running quickly.